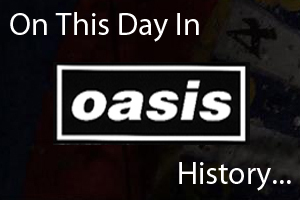 On August 27th 1996 Oasis played at the Rosemont Horizon in Chicago, USA. The tour started without Liam who had stayed back in the UK to buy a house, he joined the band a few days later. Listen to a bootleg in the video below. On August 27th 2008 Oasis played at the GM Place in Vancouver, Canada.